In response to massive anti-government protests in neighboring Egypt, Israel has increased its military budget, local media report. The Knesset's Finance Committee on Sunday approved an extra NIS 700 million (USD 190 million) for the defense ministry after days of unrest in Israel's southern neighbor, Egypt. 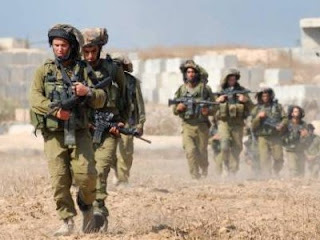 Defense ministry officials, however, refused to specify the mode of expenditure, saying details will only be given to a joint subcommittee of the Knesset Finance and Foreign Affairs and Defense committees. According to military sources, Israel is planning to significantly bolster its presence along the border with Egypt. Member of Knesset Hiam Oron, the chairman of Meretz party, criticized the finance committee for approving the new budget. "We're talking about a budget beyond what was agreed upon. If there are budget reserves, maybe they ought to be used for other issues, such as welfare and education," Oron said. Meanwhile, the Knesset finance committee has said that it may allocate more money in case of a future request from the army. Anxiously monitoring political developments in Egypt, Tel Aviv has repeatedly expressed fears that the implications of regime change in Egypt, one of the country's only friends in the Arab world, would be enormous in Israel. Egypt, which shares a long border with Israel, was the first Arab country to sign a peace treaty with Tel Aviv in 1979 following days of secret negotiations at Camp David, the US. "The defense budget was more than 30 percent of the gross domestic product before 1979 and went down to 7 percent after the peace treaty. One reason for Israel's economic prosperity is that it could decrease the defense budget for all those years," Israeli Prime Minister Benjamin Netanyahu said last week. Many Egyptian protesters, however, believe that the treaty did not result in an end to the Israeli occupation and oppose it.